Eivissa benefits from a multifloor layout. On Level 1 there's seating and a dancefloor for those who like to get in the mix and be the centre of attention! Level 2 contains additional chill out areas with a viewing area for those who like to watch. For the party goer who likes to get away, Eivissa has created it's all new smoking bar, an outside area open to the heavens with it's own personal bartender. 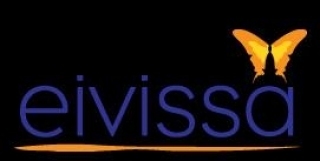 Eivissa VIP's can indulge themselves in the uber chic VIP Lounge with own waitresses and barmen. Have you got Google Earth on your computer? If so, then download the Google Earth view of Eivissa. Is this the wrong position for Eivissa? If you think so, then modify its position. Click / Tap the button above to get directions from where you are to Eivissa. The bouncers at Eivissa are very friendly and I couldn't have asked for a better welcome to the club. However, this is where the good aspects stop. The club is very run down and the 'VIP' section isn't very important as it's just a curtain and a bunch of seats which all in all looked a bit dreary. The drinks, I found, weren't that much cheaper than at other nightclubs in the local area and the music wasn't that much better either. The floors upstairs were so sticky that someone fell behind me... he may have just had to much to drink. When I went to leave I wanted to walk out the door and when I pushed it I slid back on my heels... I had had ONE blue WKD... not drunk material if you ask me. Maybe Eivissa might have some pride in how their club looks but I can't see that happening. Overall the nightclub was pretty bleak and I would suggest you go elsewhere for a night out. Why is there an age barrier? Its the older clientele that are sensible and spend the cash. The bouncers need lessons in how to speak to people. I heard Eivissa was really hard to get into so when i went last weekend i was expecting to be turned away but me, and 6 other friends, all got in. There wasnt a queue and it was still busy inside. It was good but the queue to get a drink took ages! Overall it was a really good night but i advise getting a uloveit card! Been to Eivissa a lot since it opened and loved it... until last weekend. We turned up for a friends birthday (4 boys 4 girls), not one of us was drunk and we were all dressed accordingly. Got to the front of the queue and the stupid long haired bouncer just said "Not tonight". What does that mean? He couldn't even give us an excuse. As a group of friends, we have spent thousands in this club since it opened and all of a sudden "not tonight". I can safely say I will never be back. It seems you can only get in now if you have a maximum of 1 friend. Tried to get in last night, Male Friend was wearing trendy boots with jeans. Bouncers turned him away because of a "no boots policy". These where trendy leather boots. Not steel toe caps or heavy cat boots - just making an effort trying to look good boots. Ridiculous!!! I have never been in and can safely say ill never try to get in again. Don't waste your night in this place. They make you queue even if its not busy, just so the club looks good. When I went in at about 10.30pm there was only one girls toilet available because the others were so filled with sick. Dance floor was dirty and sticky and full of idiots. Kids are just running about thinking they are something. Making this place have such a bad atmosphere. Music was standard. Nothing special. If you go to this place looking for talent you will be in for a surprise. If you have ever seen Snog, Marry or Avoid this is what the girls look like. place is awful! stay away! spend your �£7 entry fee elsewhere. unless your 18, female and have a belt for a skirt you wont get in! 8 of us arrived at a reasonable hour, not too late, not to early. 4 guys 4 girls, 6 got in and 2 didn't, guys by the way. not to mention the queue that was outside when we arrived, of which 90% got turned away in the space of less that 5 minutes. the apes on the door said that the other 2 of our group would get in when they arrived, which was about 2 minutes after we got in, however they didn't even look at their ID when they arrived, just gave the usual bull **** excuse, not tonight. we wont be back, first and last time ill be near the doors of this "night club" thanks for a bad start to the night however we wont be back again to let the same thing happen. Same complaint as many others. Last night we were booked in V.I.P for my friends 18th birthday. So we had a few drinks in Lavery's and then got a taxi over to Eivissa. Got out of the taxi, hadn't said anything, we weren't drunk, acting like ejits or anything, walked up to the door and the bouncer goes not tonight. I goes we're booked in V.I.P and he goes not tonight. I goes I was speaking to Mike earlier and we're booked in. He goes not tonight. How is that at all acceptable? Just kinda ruined the night for us because we were having a good night up until then. Went on Sat 26/11/2011 worse night ever what has happen to this club I would never have missed a saturday night. The music was like a kids dicso!! Good club to head to around half 1 or so, been there a few times after box/beach/scratch and really enjoyed it! However you're lucky if you get in! The bouncers are on a serious powertrip, they turn away so many people it is ridiculous! Fair enough if someone is falling round the place getting sick etc they are too drunk, but me and my fiends have been turned away 3 seperate times now for no apparent reason?? One night there was a group of us, about 5 girls and 4 boys and they only let the girls in. Bit of discrimination i felt! They tried saying the boys were drunker than us, even though they werent even drunk, one of them doesnt even drink lol. So yeah its a good enough place if you can actually get in, the door staff are a joke though! They need to sort it out because i know plenty of people who used to go here and have now taken their business elsewhere due to the doorstaff never letting anyone in! Been going to this club since the beginning of the year. Always enjoyed it good music and nice doorstaff. However after going back in the summer things are the complete opposite. Bouncers are the most arrogant and rude in time that get off on an egotrip making fun of people. One night a bouncer stood and watched as a girl smashed a bottle and threatened me in the smoking area and did nothing. Later in the night my mate asked him were the toilets were and got through out! On halloween night me and a friend went and I decided to drive. The bouncers watched me drive past them and park my car opposite the club in the car park. They then tried to tell me I was drunk and not getting in yet they watched me drive past, park my car and exit from the drivers side. The week before that we had went on a Tuesday night and the club was meant to have been empty (friend was already inside) so we arrived at 11 and immediately refused entry for no reason. We had not been drinking as we had come straight from work. again the power hungry bouncers were rude and insulted us. I use to really like this place but like everyone is saying its went to the dogs. Rude bouncers, barstaff that charge you a different price for the same drink every time and everyone else in the club being under 18. The only positive is the acoustic guitar guy outside. Will not be back in a hurry. Went to Evissa on Monday, Tuesday, and Wednesday got straight in the doors no bother. Tried to get in last night, didn't even get to show my I.D. and told to give it a miss tonight. What's that meant to mean? Door staff in there are really heavy handed. I could understand if my friend and I were drunk but we weren't I was in work before hand and we had went out to celebrate our friends bday, and our friends were already in. We stood back and watched for a while to see what the difference was between me and my friend, to the people who got in. We soon realised it was all young '18' year olds. Short skirts, low tops. Last night it was pouring out of the heavens so the obvious thing to do is to wrap up (coat, umbrella). Other girls who got knocked back were also over 20, as are me and my friend and again the bouncers said the same thing to them! There is no policy behind the actions that these bouncers acted upon. From being a regular customer, I will never be back. And if anyone who is reading this thinks about going, I advise against it! been to evissa wed. tues. thurs. never been on a saturday or friday went on a friday the other night knocked back for no reason 4 other guys also got knocked back reason being they had no girls with them!! texted a friend of mine who got in said it was empty! i hope the owner reads this and see's the amount of bad reviews! want somewere open until 3 go to thompsons! better places out there. Never again! This place had a refurb?? We were regulars in la lea and recently called in on sat to see what it was like, music was poor, drum and bass mixed in with commercial stuff...horrible....there are no lights working and the place is in virtual darkness...Used to love la lea, seems this place has totally gone to the dogs, which is a same. Bar Bacca was empty as was Irene and Nans....seems like the change in management/owners has without doubt ruined this place. Went here for the first time on Saturday. Bouncers seemed friendly enough but the club was a major let down. I'm quite open minded when it comes to nights out and like a wide variety of clubs but this is honestly the worst place I've ever been. I have never seen so many pretentious looking people in my life. No atmosphere here whatsoever, just filled with preppy looking girls and boys. Drinks prices were extauntionate unless you have a uloveit card..almost �£5..absolutely ridiculous. Upstairs was alright as the seating area was nice and spacious but downstairs I spent the whole night picking shards of glass out of my shoes. I'd recommend anywhere else in Belfast..even Box has less posers and is much more reasonable than here. Definitely put me off going again! Your music policy is shocking. Its commercial crap with no sustainability. once a new commercial club opens up you'll lose a lot of your crowd. You would get more street cred, taken more seriously, and a better, loyal crowd if your DJs played proper dance music like thompsons, mono, stiff kitten etc. To the people below regarding a dj using a laptop, most dj's use laptops these days as it beats carrying cds/records. so the fact a dj is using a laptop is irrelevant. i've been to Eivissa and the music is exactly what you would find in most of the nightclubs in belfast... Commercial. Have only been on a sat night and the music is terrible now, like kyle said the DJ looks like a kid and his taste is music is shocking, and his mixture of music is non existents. I can vouch for the comments below as he wont even take requests and uses a laptop all night! Loved this place when it was la lea when Pete snodden and Andy mcnally played there, not so much anymore. Went there on sat night and hated it. PR staff look like something that should be standing on linen hall street at 2am on a sat morning looking for clients. I was shocked when we walked in to the club as I thought this place was meant to have had a "REFURB"??? All they have done is paint the place black and put a glass mirror up! the DJ was embarrassing, used a lap top all bloody night and couldnt even mix! Rihanna and Eminem being played at 1am.....talk about depressing!! Missed the dj who used to play in lalea before it closed down! You should get him back as he played what the crowd wanted and didnt use a silly lap top like the fake dj in Eivissa.....Waste of time if you ask me, wont be back. If the girl had of read the offer it is not to be used in conjunction with any other offer. The same thing happened to me I used mine on a Saturday when no drinks offer was on and there was no problem. People just want something for nothing. Don't even know what her problem is is she got the drink. Me and a few friends went to Eivissa on Saturday 12th October and the place was buzzing. Great atmopshere and the music was good too. Its obviously just sour grapes for the people who didn't get in, as i work in the bar industry and all nightclubs operate a R.O.A.R policy(Rights of Admission Reserved) so if for some reason the club refuse admission they are well within they're rights to. I am 34 year old female and went with 15 of my friends to this nightclub to celebrate my birthday and anniversary there was only two males in our company one was my husband and the other my friends partner, they were both refused from the club because they didn't like the look of them. This is was a joke as my husband works for security services and the other prison services. I think the management and door staff need to know how to treat the general public with manners, something that I know is a valuable quality when I work within the public sector myself. Also just before you have short hair and a build does not mean you are a hood of the street. I think they need to revaluate their door policy again and realise that this is discrimination and they will not get away with this in this era. A lesson that needs to be learnt is treat others the way you would like to be treated and don't judge everyone with the same cover. Went to Jaxx and couldn't get nicer doorstaff and management, could teach Eivissa a lesson on dealing with the general public. Went for a birthday night out, queued for about 15mins to then have one of the group turned away, when we asked for a reason they wouldn't give one... I know bouncers have a job to do but there was no reason at all that he shouldn't have got in, he was not drunk and was well dressed. I think when a new place opens they try to hard to appear exclusive. We demanded our money back and went else where...over rated and full of children from what I hear.